Péter Pál Pach, my former master’s student Thomas A. C. Chartier and myself have just submitted our paper Coloring the -smooth numbers with colors. Meanwhile, you can access it through my papers page, or at the ArXiv. The paper discusses the current status of a question asked by Pach around 10 years ago. I found out about the problem when Dömötör Pálvölgyi asked about it on MathOverflow. Chartier was my master’s student at Boise State and I suggested to him to work on this problem. His thesis covers the results we obtained in the process, see here. At some point I thought it seemed reasonable to publish the current partial results and contacted Pach to check whether he was indeed the originator of the problem. He mentioned he was thinking of doing the same, so we decided to exchange notes and expand what we had, and this paper is the result. The question is the following: given , can we color the positive integers using precisely colors in such a way that for any , the numbers all receive different colors? The problem remains open in this generality. We discuss the cases where a positive answer is known and several related problems. The results involve combinatorics, number theory and group theory. We also discuss a nice reformulation in terms of tilings that ends up being quite helpful. 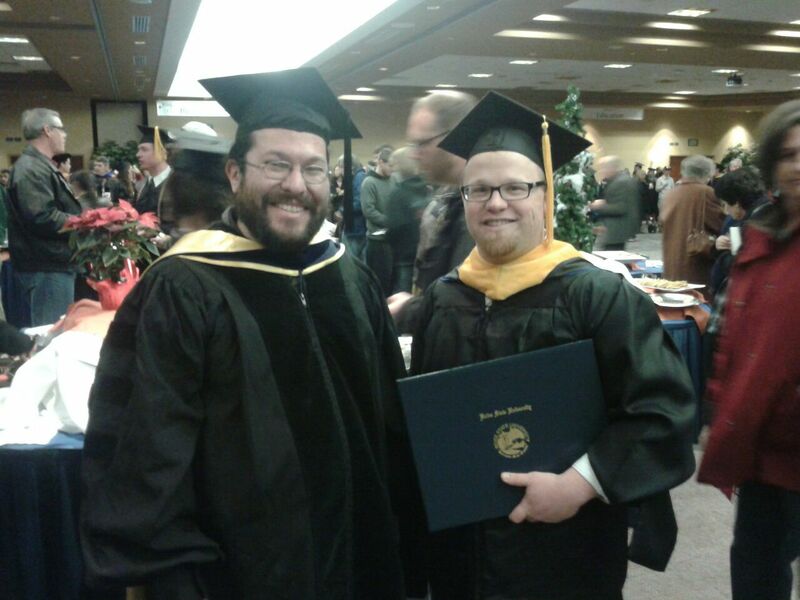 My student Tommy Chartier completed his M.S. in December.